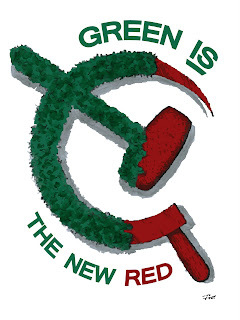 Doo Doo Economics Blog: "Green" movement to outlaw jogging? "Green" movement to outlaw jogging? Is the "Green" movement laying ground work to make jogging illegal? Alberto E. Minetti, professor of physiology at the University of Milan, along with his master's student Gaspare Pavei, compared respiratory emissions of CO2 from four men walking, running and biking with those of a hybrid vehicle carrying the same weight. Can you guess which activity is the most unfriendly to the Earth? You guessed it, Jogging! The evil CO2 monster called men could be next on the hit list of "Green" obsolescence like the incandescent light bulb, aerosol spray cans, plastic bags, American drilling rights and air conditioning (CFC)! My hat is off to May 2011 Scientific American's Transportation writer Anna Kuchment for breaking this fact. Now we can stop those CO2 expelling joggers! I should add that women are immune to this finding. Due to lower body mass they expel less of the menacing molecules. Obsolete men cannot use this news to stop women joggers in the name of saving the planet. Cass Sunstein's Homer Simpson might say, "D'OH!" They were quick and courteous Hvac. Their estimate was considerably less expensive than the other companies we received estimates from. After contacting them to have our new unit installed they were able to schedule us for the next day, which was a Saturday! Our installation turned out to be more work than anticipated but their technician completed it quickly.